The Whitestone Oaks is one of the area's newest neighborhoods with three current builders: Highland Homes, Centerra Homes, and Brohn Homes. Whitestone Oaks has an active amenities center with a playscape for both kids and parents and a pool for residents of all ages. Leander Independent School District serves the Whitestone Oaks neighborhood with acclaimed schools for students at every level. 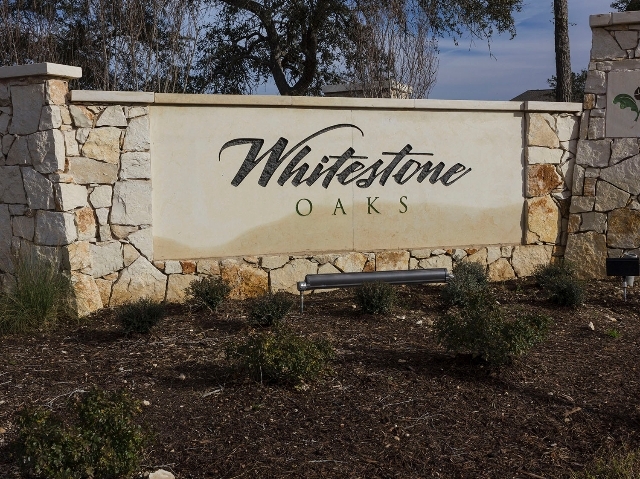 At the corner of Anderson Mill and 1431, Whitestone Oaks has easy access to the 183A Toll Road, 1431, RR 620, and HWY 183, meaning that getting nearly anywhere in Austin is a breeze. For those who love to see a good show, Whitestone Oaks is only minutes from the Cedar Park Center; home of the Texas Stars Hockey team, Torros Basketball team, and featuring concerts from all the best musicians. You won't be able to get a custom home forever, call today to get the best deal in Whitestone Oaks!